The Swim and Gym Combo offers a unique summer experience for families who want to develop skills in both swimming and gymnastics. The swimming and gymnastics instruction builds a foundation of basic skills allowing children to have confidence and fun in the pool and in the g ym. How does the Swim/Gym Combo Work? 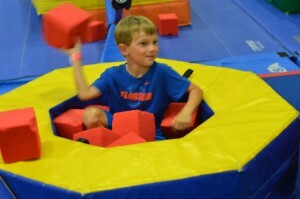 Our Swim and Gym combo allows families an opportunity to create their own combo. Mix and match gymnastics classes with swim classes. You can choose any scheduling format…. 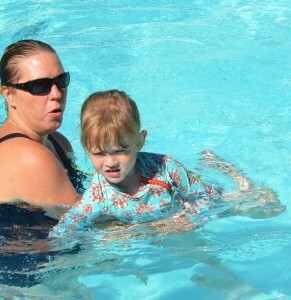 Swim Babies, Saturday Swim, the 2-Week Intensive or our 4-Week Comprehensive…. to create your own combo. Please note, that the start and end dates of swim and gymnastics sessions may not necessarily correspond. Once enrolled you will receive a class confirmation for both your gymnastics and swim choices. The start and end dates for each class will be listed on your class confirmation. Please note the start and end dates as listed on the confirmation. Sign up for any Swim session listed below and receive 40% off your summer gymnastics class.